Sting may look harmless and naïve, but he's really an excellent fighter and a wannabe bounty hunter in the futuristic Wild West. When he comes across a notice that advertises a reward for the criminal outfit named Gold Romany, he decides that capturing the all-girl gang of bad guys is his ticket to fame and fortune! 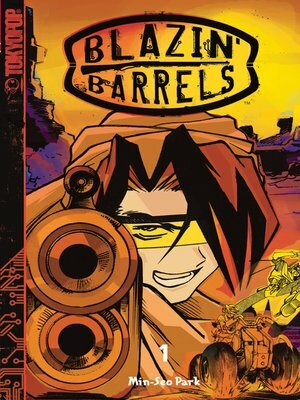 Filled with a colorful cast of unforgettable characters--Chuck Black, Maria Lopez and Leanne "Fast Sword" McDuff--Min-Seo Park has created one wild tumbleweed tale filled with adventure galore and plenty of shotgun action!